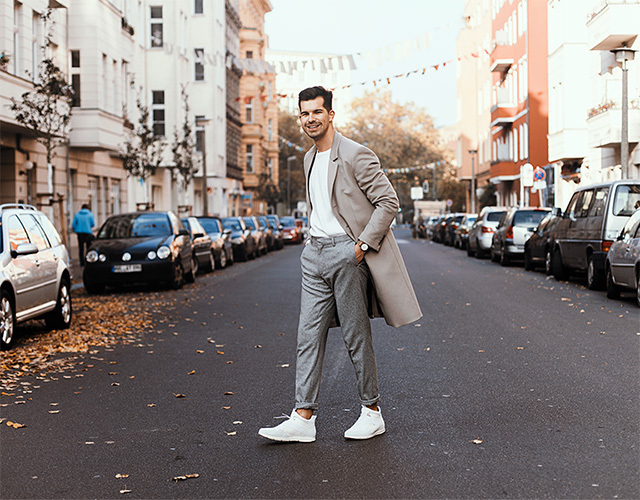 Berlin based style expert and blogger Dominik H Müller and Model Lisa Bärmann join us to discuss the unisex shoe trend, and show us how BIRKENSTOCK is leading the way. "Male & female roles are becoming more blurred, this is being reflected in modern clothing styles." 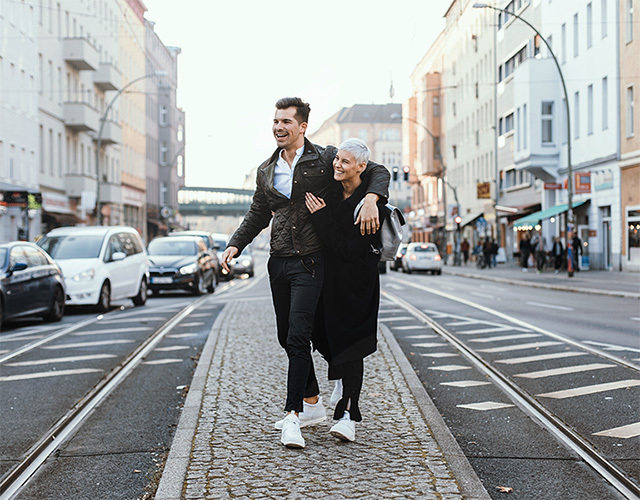 In today’s world, traditional gender roles are changing- customary male/female roles are becoming more blurred, and this is being reflected in modern clothing styles. 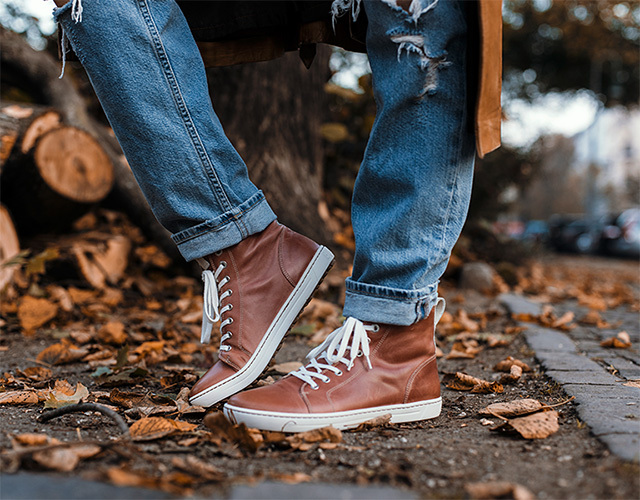 How should men and women go about styling shoes in a unisex look? I got Lisa Bärmann on board or, to be more precise, on camera, as my female counterpart to showcase three looks. Lisa came in sixth in the show Germany’s Next Top Model , and is also a close friend. From her modeling experience, she has developed a keen understanding of styling and fashion- she really knows how to put together an outfit! The changing leaves and falling temperatures mean it’s time we packed away our favorite sandals and break out our closed-toe shoes. 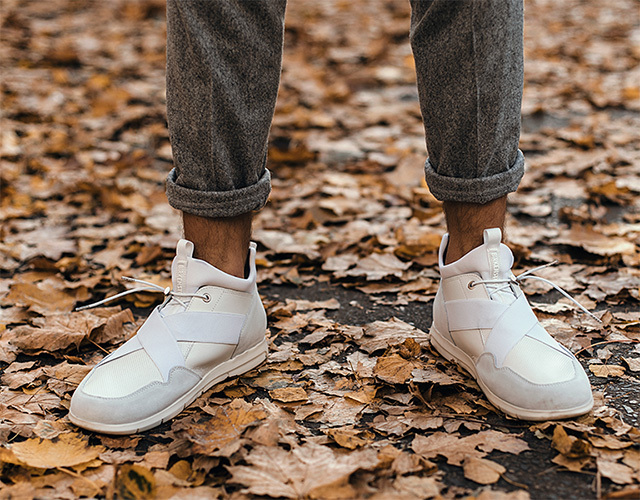 But not to worry – sneakers look great, too, and are ideal for this time of year. 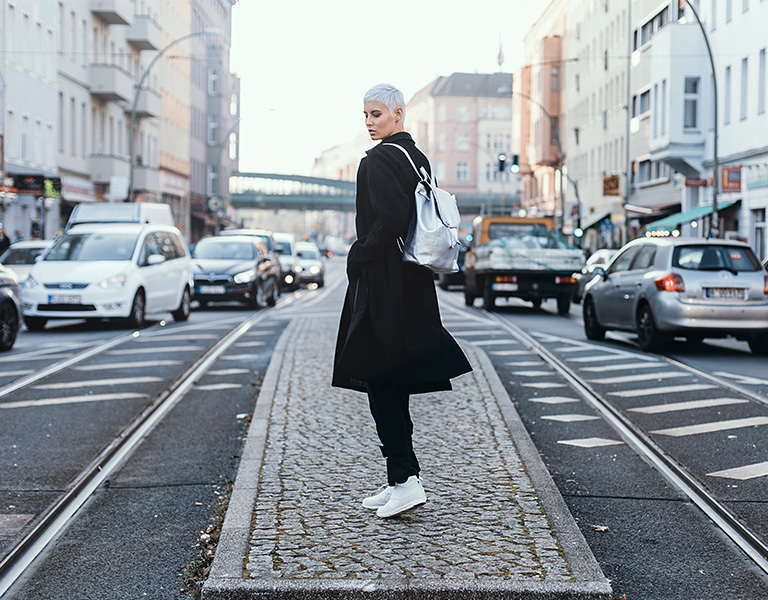 "Look 1: Casual yet elegant with the leather slip on AMES sneaker"
Lisa is wearing the AMES with light high-waist pants, a white T-shirt, a cream-colored coat, and an oversize scarf. I chose light gray suit pants, a white sweater, and a light gray woolen coat. 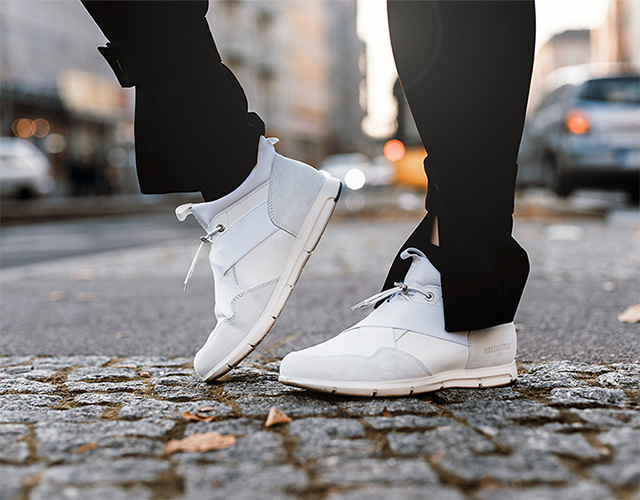 Both looks are stylish, yet fine for everyday wear thanks to the sneakers. 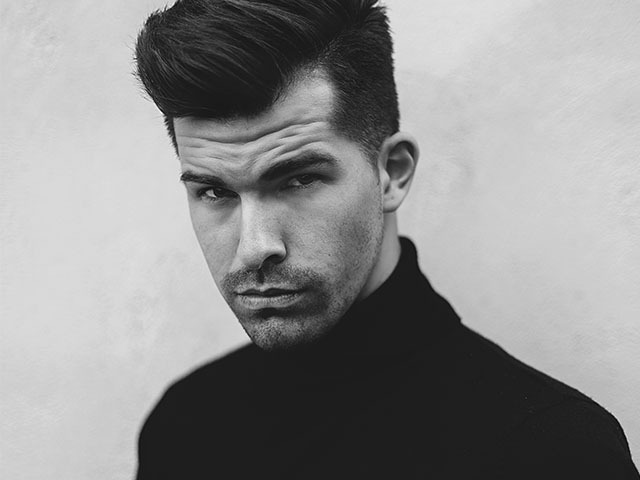 "Look 2: Cool in black and white with the AMES"
Our second look with the AMES is almost entirely black, just like you see in the trendy areas of Berlin. I call this the “Berliner look.” Lisa is wearing black jersey pants, a black T-shirt, and a black wool coat. The addition of a silver backpack to this all-black look really makes the white AMES pop! I am wearing black dress pants, a white shirt, and an olive bomber jacket. "Look 3: Dynamic with the leather BARTLETT"
I think Lisa’s styling is perfect – it’s both classic and modern. 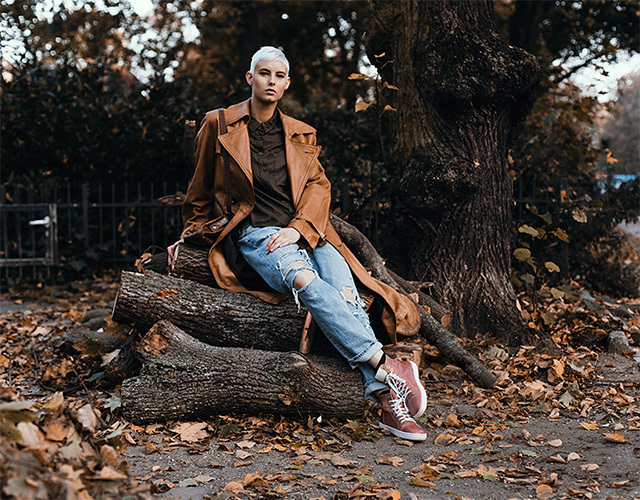 She’s wearing the Bartlett sneakers in coral, boyfriend jeans, an olive button down, and a cognac leather trench coat. I am monochromatic in my favorite color, blue: distressed jeans, light blue shirt, a lightweight navy coat, and the understated Bartlett, in dove gray. As you can see, the same shoe can work perfectly for everyone! 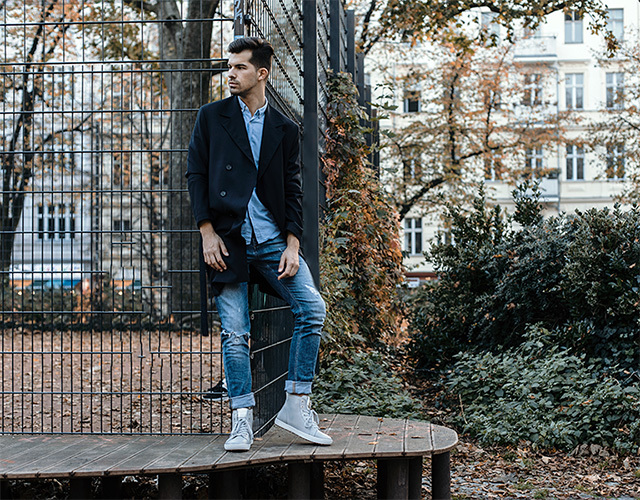 Sneakers lend a dynamically fresh aspect to any look. 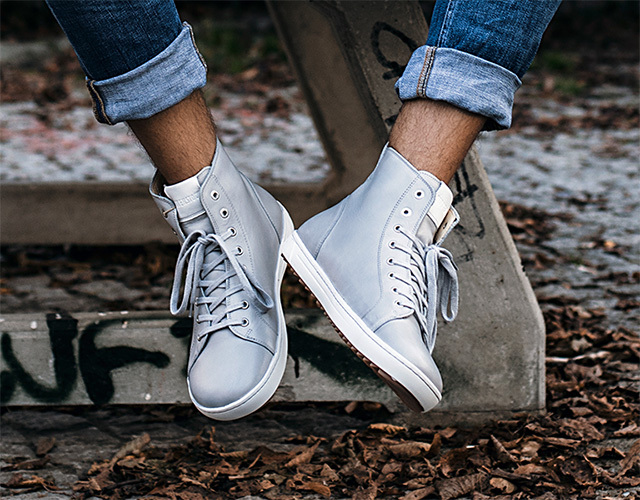 It really interesting to see how one sneaker can work for any look, and, any gender.